Our Montessori room is situated upstairs, where they occupy the whole top floor. 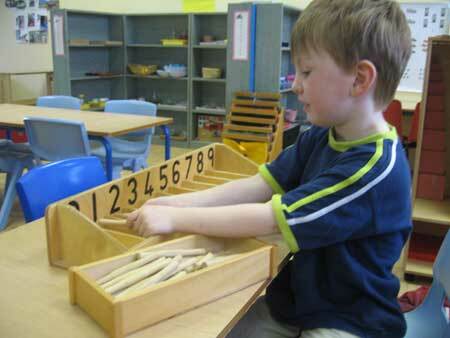 Our Montessori room caters for children from 3 years up to school age, whether that is 4 or 5 years old. The Montessori system provides the prepared environment, included in the curriculum are Practical Life, Sensorial, Mathematics and Language along with Geography, Biology and History sections, each one containing its own specially designed equipment. Also included are Arts and Crafts, Music and Drama. 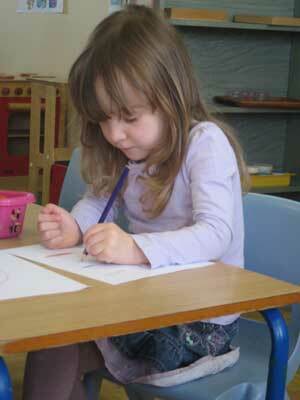 Our class is taken by a qualified Montessori Directress and her assistant. Further information about the Montessori method is available from the Montessori Directress, who will be happy to answer any questions you may have.